Flowers are a vital component to every wedding decor. More than looking for a floral supplier, you may want a provider who can also give expert recommendations on designing your wedding venue. Choose among these talented floral designers in Canada who can create stunning decorations for your special day. You can order your custom, one-of-a-kind Wedding Flowers and Party Flowers from Petals on the Trail by placing your call in order to set up an appointment for a consultation. For pre-made designs, the shop currently has Pastel mix wedding, Romantic collection, and Pink Passion Rose arrangement. DIY wedding flowers can be a fun, creative, and affordable alternative for your special day. If you’re hesitant because you might have no experience in flower arrangement, 1-2 design classes are included in Buckets Fresh Flower Market’s DIY wedding flower package. If you like any of these combinations: minimalist and elegant; bright and bold; or delicate and natural, then Flowers and Jules is the ideal wedding florist for you. Julia Rose Hoogeveen grows peonies, dahlias, roses, snapdragons, lavender, sweet peas, aromatic herbs and greenery, and much more. If you’re planning an outdoor wedding such as near the beach, you might be worried that the flowers may wilt upon delivery. Don’t fret as Galiano Florists’s flower decor and arrangement are transported and treated with appropriate care and handling. Usually, the event venue doesn’t have floral coolers in which to store bouquets and table arrangement to keep them adequately cooled, but Galiano has these on the go. If you want to go over your wedding requirements in person, you can book a free consultation with one of Garden Party Flowers’ designers. The shop specializes in flower arrangements that they call “Organic flow”—this design characterizes a “loose” and “wild” look similar to an overgrown English garden. When consulting with Sunflower Florist for your bridal party, bring a swatch of the bridesmaid’s dresses. These materials will give the shop a reference as to which flowers are available in the colors of your wedding wardrobe. The Occasion Treasure Box offers ready-to-made wedding packages using only artificial flowers with selected discounts that can also be shipped worldwide. However, the shop recognizes that every wedding party can be different. Hence, custom packages are also available for any size order and you may request a quote on their website. House of Silk is Canada’s longest running designer of silk plants, faux trees, and wedding arrangements. Operating since 1989, the Winnipeg-based shop recommends silk wedding flowers because they’re weather-proof, durable, and you can keep them forever after your special event. Owned and operated by lead florist Donna “Downey” White, Buds To Blossoms Floral Boutique is the most experienced and friendliest Florist in Downtown Amherst. With over 20 years of experience in the floral industry, Donna and her team serves occasions such as weddings within Amherst and surrounding areas. Two Birds One Stone Farm is a small flower farm and design studio in Hall’s Harbour, Nova Scotia. Their flowers evolve seasonally, are grown organically and are the kind you’d find in a well-love garden. They provide floral arrangements for weddings of all kinds; bulk flowers for DIY brides, to full design and set-up service. One of Southern Ontario’s premier Wedding Florists, Ann’s Flower Boutique can prepare key wedding decorations such as bridal bouquet and table arrangements to the ceremony and reception decor, using the season and wedding venue as one of their top references. The team will come up with a formal proposal based on your specifications. Blossom and Bloom originated as an open-concept market that connects you with local creative businesses, floral-focused designers, artists and musicians in a single event. Today, the exhibition provides professional photography, event design, day-of coordination, and business networking for their participants. Planning for your wedding can take up resources such as your money, and more importantly, your time. If you don’t want to undergo multiple consultation sessions, you can simply pick wedding packages offered by Bridal Blossom. Their three packages are: Nature’s Blossom, Whimsical Romance, and Luxurious Blossom. Specializing in wholesale and bulk orders, BunchesDirect has a large inventory of flowers so you don’t have to worry about running short on floral decoration. Some of their flowers are Roses, Calla Lilies, Tulips, Iris, Gerbera Daisies, Chrysanthemums, Lilies, Orchids, Alstroemeria, Carnations, Hydrangea. Since 2009, Coriander has made weddings more beautiful with their glorious mix of locally grown blooms. Their garden-inspired flower arrangements consist of flowers mostly grown in the Coriander Girl Farm, the shop’s 15-acre parcel of land in Prince Edward County. Detail Wedding Design provides diverse artificial wedding bouquets such as Artificial Flowers, Ribbon Flowers, Burlap Flowers, and Brooch Bouquets. All of their artificial flower bouquets are made with the high quality materials including REAL-TOUCH flowers. To ensure your satisfaction, Detail Wedding Design provides pictures to you before shipping. Euphoria Wedding Designs is a boutique style wedding/events decor and flower company located at the east end of Toronto. Their skilled team members can easily understand your design visions and plans—and then execute on it with our creativity and passion. Exquisite Occasions has always earned rave reviews from customers, thanks to Suzzette Patten’s dedication and skills in floral design. The studio’s service packages include full coordination, month of coordination, consulting services, destination weddings, and floral services. Floret is a floral studio that is dedicated to supplying handcrafted flower arrangements to transform spaces of weddings and events in Toronto, Markham, Aurora, Newmarket, Thornhill, Richmond Hill, Woodbridge, Whitby, Pickering, and Mississauga. Their wedding decorations include arches and arbors, chuppahs, backdrops, head table, and cake table decorations. Flower Essence advises that you should contact the shop 6-9 months before your wedding date. There were cases when they were able to prepare floral decor within two weeks, but it’s recommended to be prepared ahead of time. If you can plan up to 12 months before your wedding, you can begin contacting to kickstart your decoration. Hana Floral Designs & Co.
Hana Floral Designs & Co. stands out from other design studios thanks to their wedding decoration that incorporate different cultures, values, and ethnicities, as shown in their tagline: “your style is our style”! They’re also not afraid to play with colors when it comes to wedding themes, so if you like bold shades for a vibrant special day, Hana Flowers can cater to this request. Located in Elgin County in southwestern Ontario, Harris Flower Farm grows their own fresh seasonal cut flowers for farmers’ markets, weddings and events in St. Thomas, London and surrounding areas. 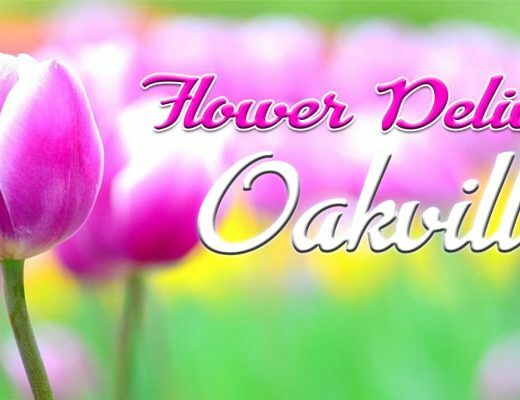 They have a large assortment of bulb, annual, perennial, and flowering branches. Hello Poppy is a small (but “feisty”) floral design studio thriving in Brooklin, Ontario. They currently provide custom Sofreh Aghd wedding design and styling as well as month-of event coordination in the Durham Region & GTA. Ichigo Ichie Floral Studio believes that each event has to look unique and this includes weddings. The studio makes use of customized color palette and seasonal varieties. Some locations where Ichigo Ichie Floral Studio served are Richmond Hill Golf Club, Shangri – La Hotel, The Manor, and Old Mill Toronto. From garlands to unique and cost-effective centerpiece options, Juniper Floral Studio can design and execute all of your floral requirements. They have tablescape decor, bridal bouquets, boutonnieres, corsages, and floral crowns that can fit your budget. For hassle-free wedding planning in Waterloo, Cambridge, Kitchener, and Baden, hand over the decoration work to Lilies White Floral Studio. The shop can create a unique floral programs which will be based on your budget, desired flower type, design aesthetic, venue etc. Monaliza M.A. Flowers, a Hamilton-based floral studio, specializes in dressing weddings and special events as well as corporate functions. They offer personal design and decoration service and a hire-only service if required. You can also get a free, non-obligation quote upon having a complimentary consultation with the team. Nicholas Smith started Opening Night Flowers from providing gifts to his clients on their opening night performances while working as a talent and modeling agent in Toronto. Since then, he has provided wondrous flower arrangements for weddings and other special events which have been featured in Style Me Pretty, Wedluxe, and Elegant Weddings Magazine. The OUDALOVA Events & Design team starts and finishes every project – including weddings – with gusto and passion. Their clients’ vision is the most important reference when it comes to thinking of floral decor, ensuring that the final design can also be easily installed on the actual event date. From subtly chic, to opulent and even theatrical, Peachwood Studio has the ability, skills, and sources to create the best decoration set for your chosen wedding theme. They can provide various recommendations on color palettes and decor items depending on the venue and season where your wedding will be held. To get a feel of the stunning vision that Pure Event Design has for every event they’re assigned to, you can visit their showroom and book an appointment with their designers. They can take care of wedding needs such as Floral Design, Centerpieces, Rentals, Luxury Linens & Napkins, Table Décor Accessories, Chair Rentals, Draping, Event Lighting, Furniture Rentals, Custom Vinyl Floorings, Theme Props as well as Backdrops & Ceiling Treatment. 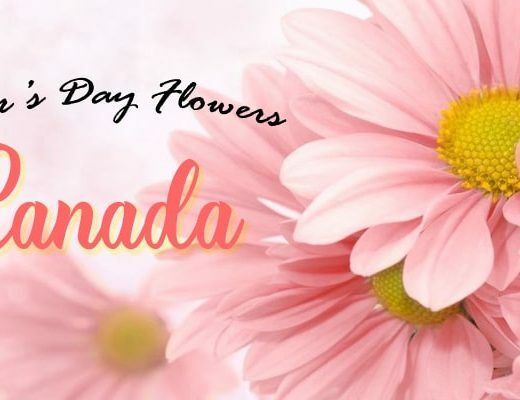 Sweet Stems Florals is a custom floral designs company based in Newmarket, Ontario. Owner and Floral Designer Brianna Taggio started in the Visual Merchandising industry creating designs for large retail stores before moving on to event design for high end weddings and events. Eventually, she found her passion in creating floral arrangements and colorful design concepts for these functions. The Planted Arrow Flowers and Gifts’ motto is “if we don’t love it, it does not leave”. This means that they take pride on every flower arrangement of gift that leaves the shop and gets sent to special events such as weddings. Providing custom wedding designs for each couple, the shop is open for booking consultations. In the past 10 years, Wedecor has evolved an infrastructure as they have become one of the best wedding and event design companies in Ottawa. Some of their premiere services include Full Designer Wedding service, Day of Management, Printing, and Rentals for Decor. They have an exclusive line of custom inventory including high-end chairs, luxury linens, dance floors, lighting, beautiful fabrics, draping, and others. Want to make your wedding an immersive experience for your attendants? Willows and Stems introduce the “Flower Bar,” an interactive guest favor that’s perfect for large weddings. They can also set up a bouquet bar for smaller events for a personalized thank-you to your guests. A Timeless Celebration is a Montreal-based event design company who provide all-in-one decoration and setup services for a hassle-free celebration and ceremonies. Leave it to A Timeless Celebration to take care of anything from flowers to decorations & rentals to invitations to planning in your Montreal wedding. Bromewood is one of South Montreal’s best source of fresh flowers and original floral design. Their florists specialize in contemporary, European and garden inspired floral arrangements. The shop encourages clients to hold weddings and events at the Eastern Townships —a very popular place to hold garden, classic and informal weddings. With her modern designs that carry a timeless elegance, Fleur&Sense brings a welcomed, fresh perspective to the world of flora. Fleur&Sense is renowned for the high end floral decor for weddings & events in the Montreal area. They focus on custom made designs and a personalized service for their clients. Share your vision with them, you will not be disappointed. 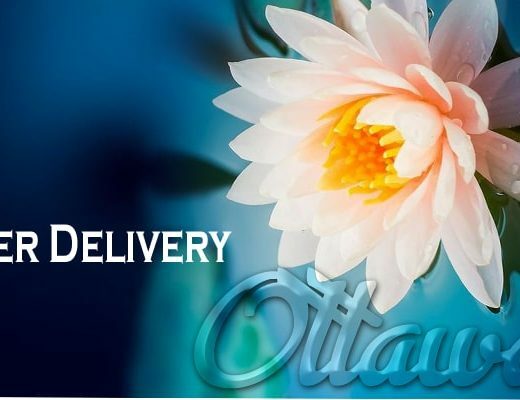 If you are looking for a unique gift or decor Fleur&Sense has a wide range of preserved floral arrangements that last more than one year and are delivered within two days to all locations in Canada. Gaïa Art Floral is a floral design studio located in the south shore of Montreal. Lead floral designer Marie-Claude Claude Cuerrier provides full service floral decor for weddings and events where she pours her true passion for art, flowers, horticulture, and everything botanical.